A Luling house caught fire on New Year’s Eve after freezing winds apparently carried lit fireworks next to a window where it exploded, shattered the glass and set a six-year-old boy’s room on fire. 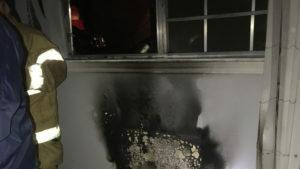 Ramirez said the fire started in Lyric’s bedroom at about 11:30 p.m.
“There was about a 10-minute difference between the fireworks making contact and the neighbor going in to put out the fire,” said Ramirez, an English teacher at Destrehan High School. The neighbor put out most of the fire with a hose and then called 9-1-1, she said. Firefighters determined the entire house sustained heavy smoke damage and the contents in Lyric’s room were a complete loss, she said. Luling and Paradis volunteer fire departments responded to the fire. The family was visiting relatives in Kenner when they received the call that their house was on fire. They returned home in time to see firefighters at the scene and the damage to their house. The Ramirez family are staying with her parents in Waggaman until their residence of 3-1/2 years is cleaned and repaired. The explosive came from the driveway of a neighboring residence, only an estimated 20 feet away, she said. The incident has made Ramirez an even stronger advocate for fireworks safety. Ramirez said her neighbors are “completely upset” about what happened and they helped put out the fire that could have destroyed their home. But she added fireworks should be fired in a proper location. 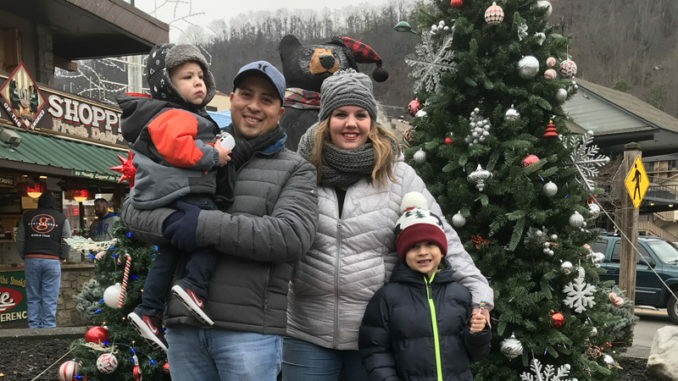 The family had just returned from Gatlinburg on a Christmas holiday and she had started removing Christmas decorations when calamity struck their home. “Does that mean 2017 went out with a bang or 2018 is starting out with one?” she mused. For Lyric, the loss raised questions. When he saw what remained of his bedroom, he wanted to know what happened to all his toys and if they went back to the North Pole, Ramirez said. “We told him his toys were going to the elves to fix them and give them to people who needed them.” He also was told about getting a new bedroom. By New Year’s Day, she said they went shopping to replace his “big toy” – a Roarin’ Tyler, The Playful Tiger. A family friend they met at the store also bought Lyric a new toy. Soon after Ramirez explained what happened to their home on her Facebook page, family members and friends, as well as fellow teachers and others all reached out to help. Special shout out to Councilman Hogan and the his cohorts that worked so hard to make fireworks legal in St. Charles Parish.